Nursing care services include assessment and management of pain and symptoms as well as personal care. Hospice of Southern Illinois nurses are trained to evaluate pain and symptoms and to provide services that alleviate the suffering associated with terminal illness. Nurses and hospice aides provide patient and family education on caregiving and end-of-life issues. 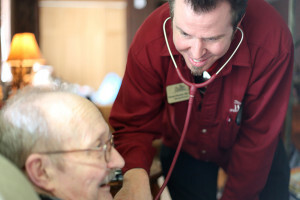 Hospice of Southern Illinois nurses make regularly-scheduled visits to patients. Support by the Hospice of Southern Illinois team is available 24-hours a day, 7 days a week. 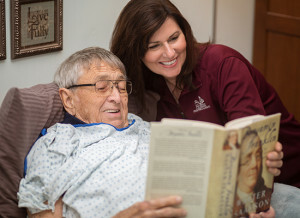 Hospice of Southern Illinois provides care in various settings. Whether you reside in your own home, a nursing home, an assisted living community or a hospital, we are committed to providing the highest level of comfort and care. We work diligently to put the unique needs of each patient, caregiver and family unit at the center of all decision making. This focus ensures the needs and wants of each patient are met. Emotional/spiritual support throughout the dying process including continued support for family for an additional 13 months. Ongoing end-of-life care provided to patients at home or in a nursing home. Short-term end-of-life care provided by nurses and hospice aides to a patient in crisis to keep the patient at home as determined by a physician. Short-term stay (up to 5 days) in a nursing home or hospital. Temporary intensive care provided at a hospital or nursing home to manage pain or symptoms that are out of control as determined by a physician. Hospice of Southern Illinois provides individualized care including symptom management. Our hospice nurses can be reached 24 hours a day, 7 days a week to assist with such symptoms as pain, shortness of breath, nausea or anxiety. 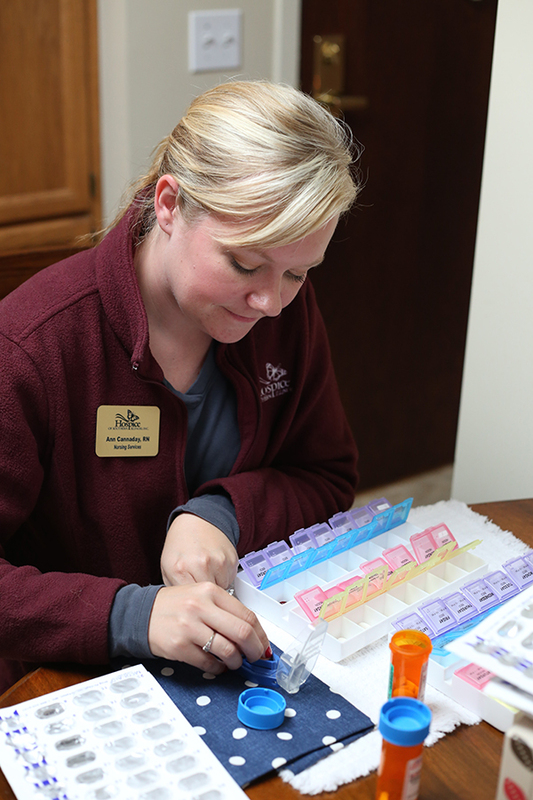 All comfort medications and medications related to the hospice diagnosis are covered by the Medicare Hospice Benefit. Hospice nurses assess pain at each visit and are able to receive orders from our medical director as adjustments are needed. Durable medical equipment such as hospital beds, wheelchairs, walkers, oxygen, etc. are also covered by the Medicare Hospice Benefit and available to our patients as conditions warrant. Hospice nurses, in collaboration with our interdisciplinary team, arrange the delivery of all equipment and provide training for the use of this equipment to our patients and their caregivers.